This summer has brought a few changes about in our rabbitry. I thought it might be interesting to give a “state of affairs” of the rabbitry. We finished our permanent area and now have a set number of holes to work with, with the cages we prefer! This is several years in the making, so we’re pretty excited. We have upgraded our spaces so every single rabbit has a space larger than the recommended size for their weight. We have used several different cage manufacturers. The majority of our cages are made by KW Cages. We find them easy to clean, sturdy, and I particularly like their door latching system. However, we also have several cages made by Klubertanz. Our Blanc de Hotot seem to have a streak of magic in them – they can be serious little escape artists! For awhile we simply put a carabiner on their door to keep them put, but we’ve learned that the Klubertanz latch system can defy even the most determined rabbit Houdini! Earlier this summer we ran into a bad batch of food, which wiped out many of our rabbits. It was an incredibly painful experience for us. We buy our food in bulk and have used it successfully, so suspecting our food was not our first choice and we had a significant amount of finances invested in food NOT being the issue. In fact, I see so many posts on facebook blaming food for gut issues (that aren’t gut issues!) that I put a food change at the bottom of the list of possible problems. We tried many different treatment options before making a switch but the very day we switched food — I mean, within an hour! — there was a noticeable difference in the atmosphere of the rabbitry and, from that moment forward, we’ve had no problems! We have watched for several weeks since then and have had no issues at all – as my friend told me, “You’ve experienced the pain of natural selection based on a hearty gastrointestinal tract.” Sigh. The good news is that we now can assume our remaining rabbits have stomachs of steel! I am not a veterinarian and cannot promise results to anyone else, but here is the formula of what we did. 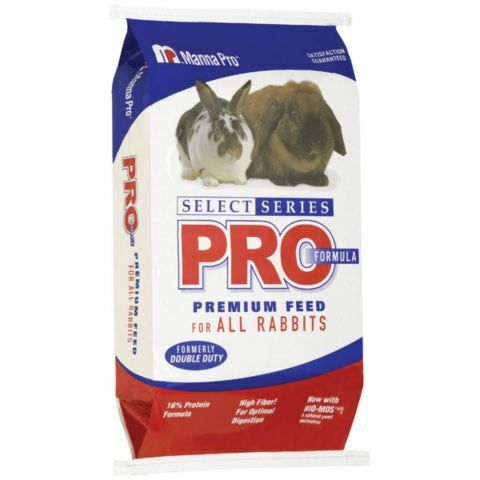 We switched to Manna Pro feed, Pro formula, and also administered Rabbit Nutri-Drops via their water. We switched to Manna Pro, Pro formula this summer. 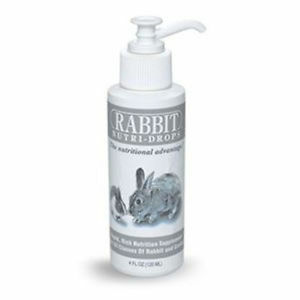 This combination had immediate results for our rabbits! We will stick with Manna Pro food for the foreseeable future, although we will only use NutriDrops in specific situations. The NutriDrops came from a longtime breeder in the MidWest. He shared that he hasn’t lost a kit at weaning since he started giving them NutriDrops. It’s used by others as a stress fighter for shows. We simply put it in their water at home for three days. It smells exactly like the Poli-Vi-Sol vitamins that I have given my children when they are too young to have a chewable multi-vitamin. I can’t say the rabbits looked forward to drinking it… but it certainly perked them up! The food issue hit our nursing mothers very hard. We had huge litters this summer in general – I need to double check if that had to do with moon breeding – but we had to do a lot of fostering in the end. Several of our rabbits had litters of 10+ babies when it was all said and done… and they raised them! Those mamas are getting a break from breeding for awhile, but we supplemented their food with Calf Manna while they were nursing. Our rabbits LOVE Calf Manna! Now, this is something the rabbits went crazy about! One mama actually knocked the cup out of my hand she was so eager to get to her Calf Manna! 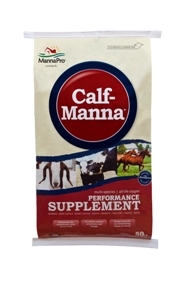 Calf Manna isn’t a supplement you’d want to use regularly, but it is useful for nursing does, weaning babies, and animals that need a little perking up. We also fed hay until the world looked level! Our rabbits are very full of fiber… and they really seem to like it that way! I’ve discovered our Timothy hay has a different look depending on the time of year – it’s been fascinating to learn about the farming processes that go in to feed and hay and such! We cannot express how grateful we are for the breeders who helped us do the sleuth work of figuring out what was going on! I researched rabbit gut issues probably close to a hundred hours without any success – and then a simple conversation with a breeder who has been in rabbits for decades solved the problem overnight. I truly regret not talking to a human being much sooner, as the internet (facebook included!) is not as useful as a real, live person. Having a rabbit community is so important! We’re a few months out from the changes and I can confidently say our rabbits are doing great! They are thriving… and we’re learned another lesson for our rabbit tool bag! Now… what will the fall bring us? !